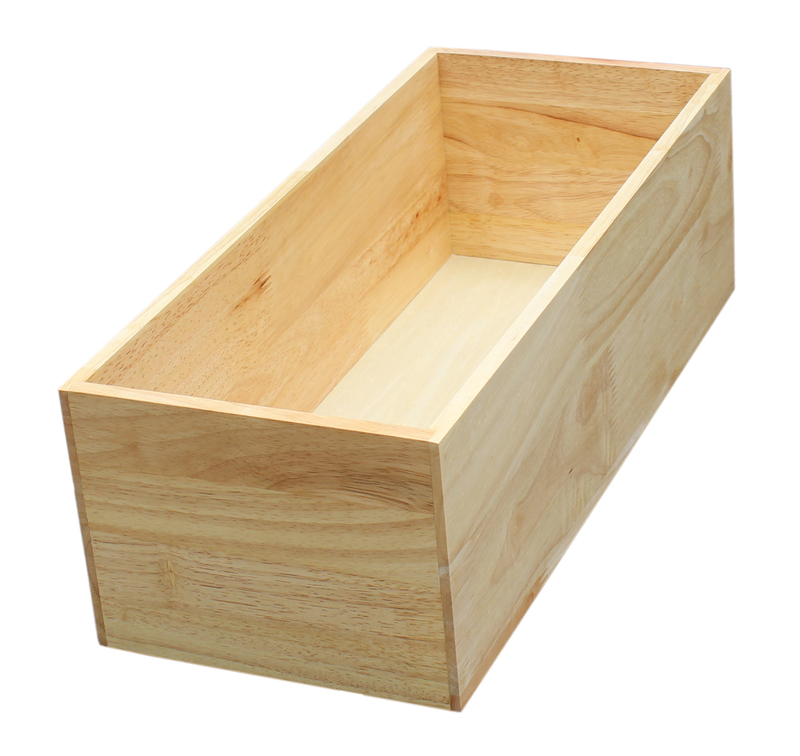 This rubberwood utensil box is 200mm wide, 475mm long and 150mm high. It is designed to be used in deeper drawers for organising utensils, spices, or other small miscellaneous items. The inserts are covered with a clear matt lacquer, which gives them a very warm, yet impressive appearance.